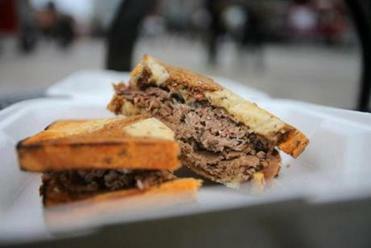 A line forms at Evan’s New York Style Deli. Lined up like a ring of mushrooms after a spring rain, a handful of food trucks circle Dewey Square Plaza waiting for hungry customers to arrive. 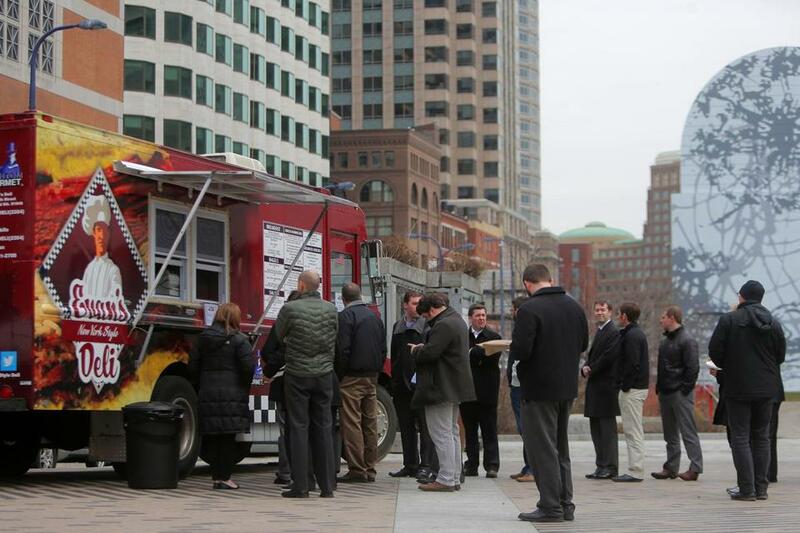 April marks the launch of the 2014 spring season for Mobile Eats on the Rose Kennedy Greenway, introducing 15 new trucks to the lineup and four to the Boston food truck scene. Before the lunch rush begins, vendors walk around greeting one another with fist bumps and handshakes or cheers of hello while leaning out of the truck windows. Here is a sampling of the new ones. The Evan’s Choice from Evan’s truck. 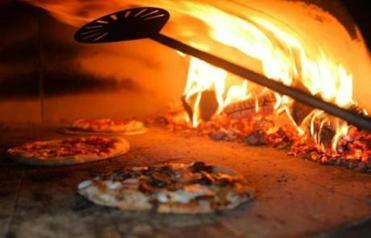 The oven inside the Stoked Wood Fired Pizza Co. truck.